Flat roof maintenance is easier to carry out when the weather is kinder, so late spring or summer is an ideal time to check the state of your flat roof. 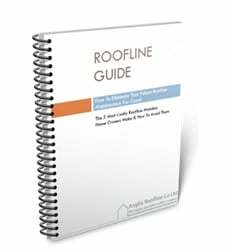 Use this flat roof maintenance checklist guide to make sure you’ve considered all aspects of your flat roof and any other structural areas that could create problems for you. Tip: You can minimise the number of inspections you need to do for flat roof maintenance when you install an EPDM rubber roof, that’s guaranteed for 20 years but has a life expectancy of 50 years. How Will You Access Your Flat Roof? A flat roof can often be easily accessed for inspection, but carrying out remedial work may be more of a challenge. Before you start your inspection, or in fact do any flat roof maintenance, please consider how you can safely access it. You may be able to reach your flat roof via a long ladder but once you are at the top of the ladder can you clearly see all areas without having to stretch out – and maybe overbalance? Pools of water on your flat roof may not seem to be much of an issue but if you are getting a lot of standing water (i.e. pools remain 48 hours after rain has stopped) it can saturate your flat roof cover and eventually degrade the material. When this happens you get leaks into your property and, potentially, structural damage too. These pools of water are known as ‘ponding’. The only signs of ponding you are likely to see in drier weather is staining where water has stood for some time. For this reason, it is advisable to do some of your flat roof maintenance inspection 48 hours after it has stopped raining, or snow has melted away, to check if there is any ponding. When you carry out your flat roof maintenance inspection check for raised, spongy patches. These are likely to be caused by trapped air or moisture in the felt layers. The trapped air or moisture separates the layers and can reduce the waterproof properties of your flat roof cover. 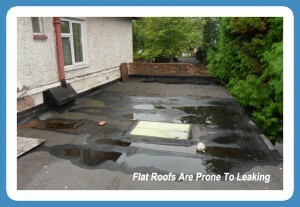 During your flat roof maintenance inspection check for any debris that could puncture or damage the felting. Any stones, sharp sticks (e.g. branches blown off trees) should be removed and the roof surface checked for any tears or holes. Are there long narrow cracks on your flat roof? If so, it is an indication that moisture has condensed by the insulation joints under the bituminous felt. Excessive ridging may mean your flat roof needs re-covering. Whilst you are inspecting before carrying out any flat roof maintenance it is sensible to check the state of any guttering and downpipes attached to your flat roof. Clear any debris, such as leaf mould, to make sure that water can drain off the roof during any rainfall. After Checking which Flat Roof Maintenance Tasks are Needed..
After you have completed your inspection you need to decide if any flat roof maintenance is required. If there is a lot of damage or signs that your roof covering is no longer waterproof it may have to be replaced. If that is the case, then I would suggest considering a long-term solution such as an EPDM rubber covering for your flat roof. Take a look at our recommended flat roofing solution that is guaranteed for 20 years and has a life expectancy of 50 years. Replacing your flat roof covering with EPDM rubber almost eliminates the necessity for regular flat roof inspections.